The Korg MS-20 Mini is a highly-compact, monophonic analog synthesizer designed to replicate the original engineering of the Korg MS-20, used by the likes of The Prodigy, Daft Punk and whole host of legendary musicians. 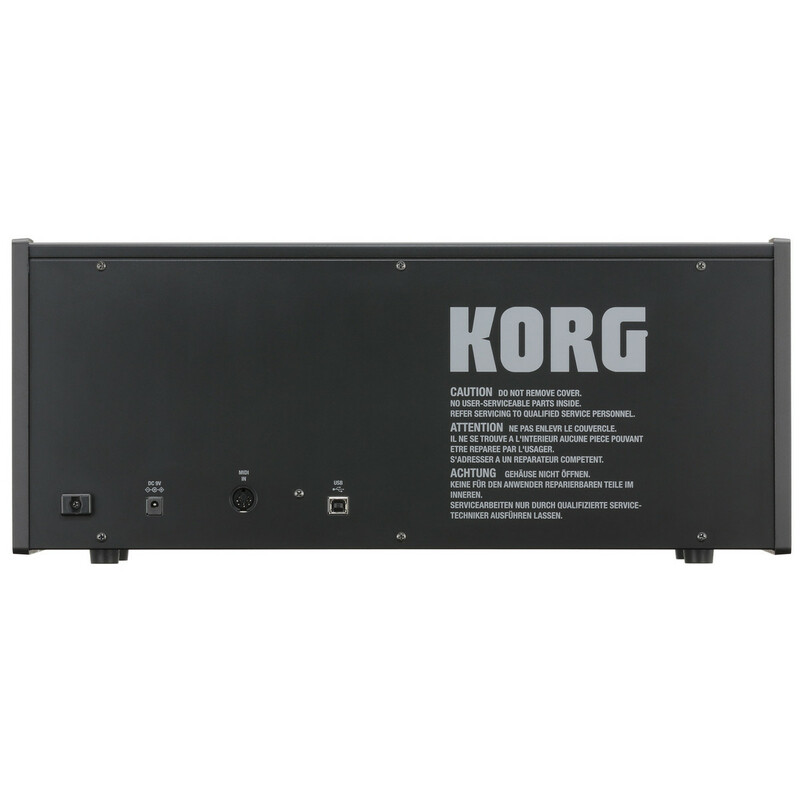 The Korg MS-20 Mini is compact and highly portable, making it perfect for both live and studio use alike. 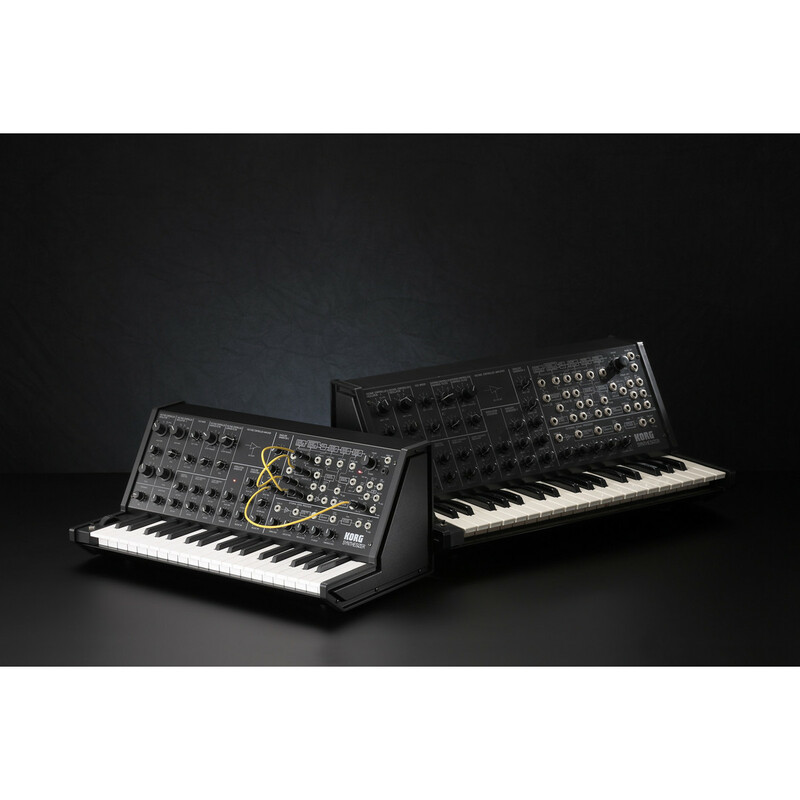 The MS-20 Mini Synthesizer features self-oscillators filter providing resonance on both the low and high-pass, resulting in a dramatic tonal change the original MS-20 was renowned for. Its flexible patching system allows you to create complex sounds by changing the connections between the various units, opening up a whole world of synthesis options. The MS-20 also features USB & MIDI connectivity and is now available in this eye-catching, sleek white finish. 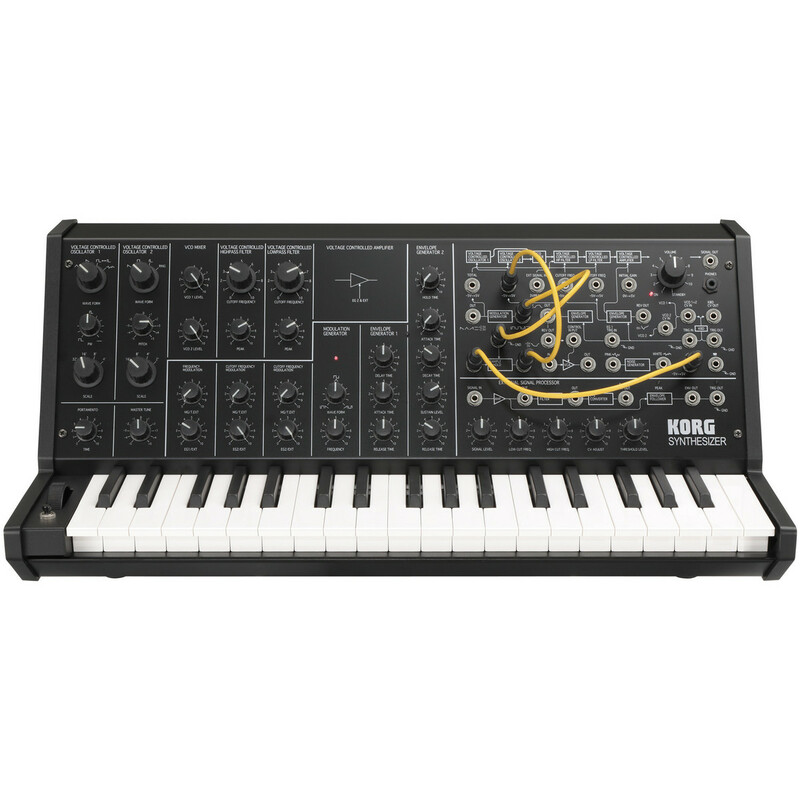 The MS-20 Mini has been painstakingly reproduced by the development team that produced the original MS-20, taking care to recreate the original circuitry for a faithful reproduction of the original sound. The rich and bright tones the MS-20 Mini produces is down to the internal circuitry, designed to produce the sound of the original MS-20 in mint condition before any of the components aged. The dual oscillators both feature ring modulation and envelope generators with hold and delay functions. The VCA is based on the original design but has been modified slightly to minimise the noise it produces for improved overall audio quality. One of the most revered features of the original MS-20 was its powerful filters, with the MS-20 Mini retaining these self-oscillating filters, providing resonance for both the high-pass and low-pass. The process works by maximising the resonance, in-turn causing the filter to self-oscillator and producing a noticeable change in tone. Fans of the MS-20 may know that the filter circuit was changed through its production cycle, with the MS-20 mini opting for the earlier filter, designed for a superior and more radical sound. The External signal processor of the MS-20 Mini gives you the ability to use the pitch of volume of an external source to control your synth. The experimental nature of the ESP functionality, opens up a new world of flexibility, allowing you to input instruments such as electric guitars and use the MS-20 Mini and a guitar synthesizer, or attach a microphone to change it to a vocal synthesizer. One of the most prominent features of the MS-20 mini is its highly-flexible patching system. The patching system located to the right of the panel, gives you the ability to create complex new sound by changing cables between connections. Allow your imagination to run free with its countless combination between modulation, triggering, samples and noise generators, allowing you to produce a wide palette of tones and sounds. The accompanying flow chart allows novice users to easily take advantage of the patching system, giving you a crash course in synthesis straight out of the box. The compact yet highly robust design of the MS-20 mini makes it perfect for studio and live performances alike. 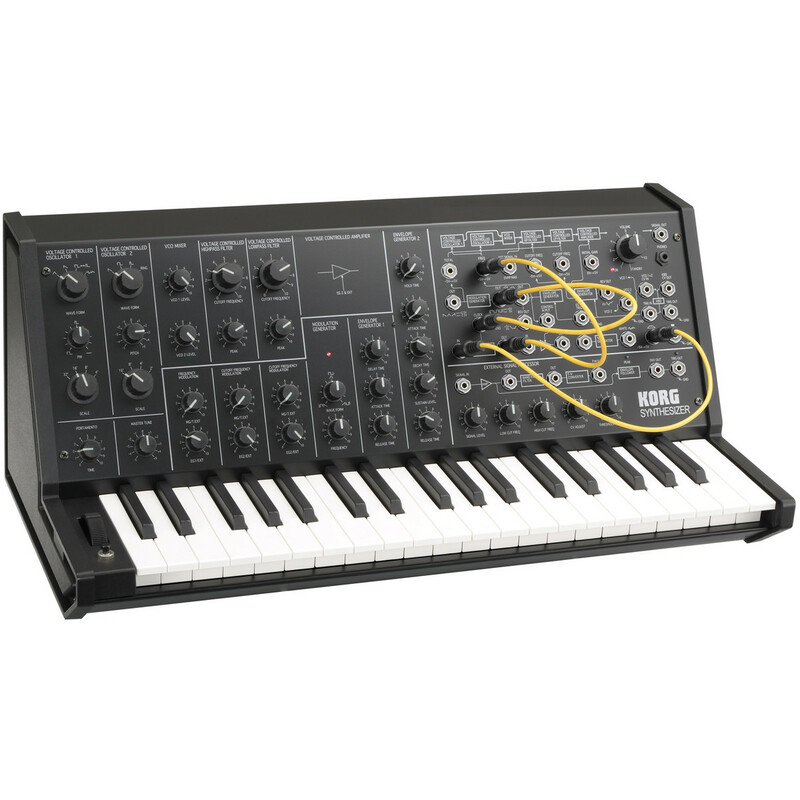 This mini version of the original MS-20 has been scaled down to 86 percent of its original size. The keybed features 37 notes in total, spanning three octaves for added versatility. In addition to its analog design, the MS-20 Mini also features USB & MIDI connectivity, ideal for using your MS-20 Mini with your favourite DAW, allowing you to incorporate the rich, warmth into your productions. Type B, USB-MIDI Input/Output *Only note messages (velocity is not used) can be transmitted and received. MIDI Input *Only note messages (velocity is not used) can be transmitted and received. Weight: 4.8 kg / 10.58 lbs. 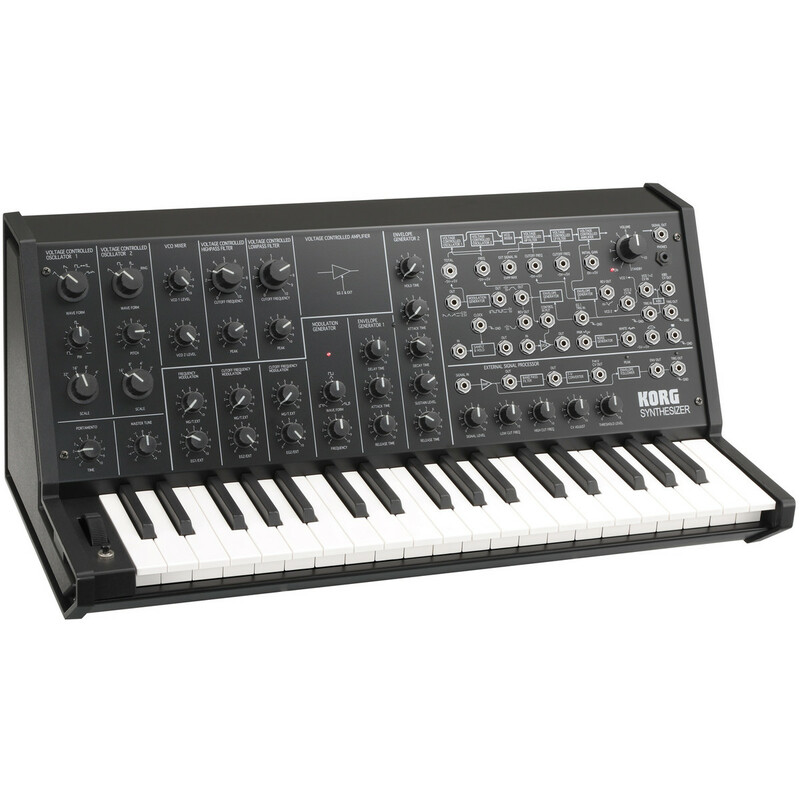 For more information on the Korg MS-20 Mini, please refer to the PDF above.